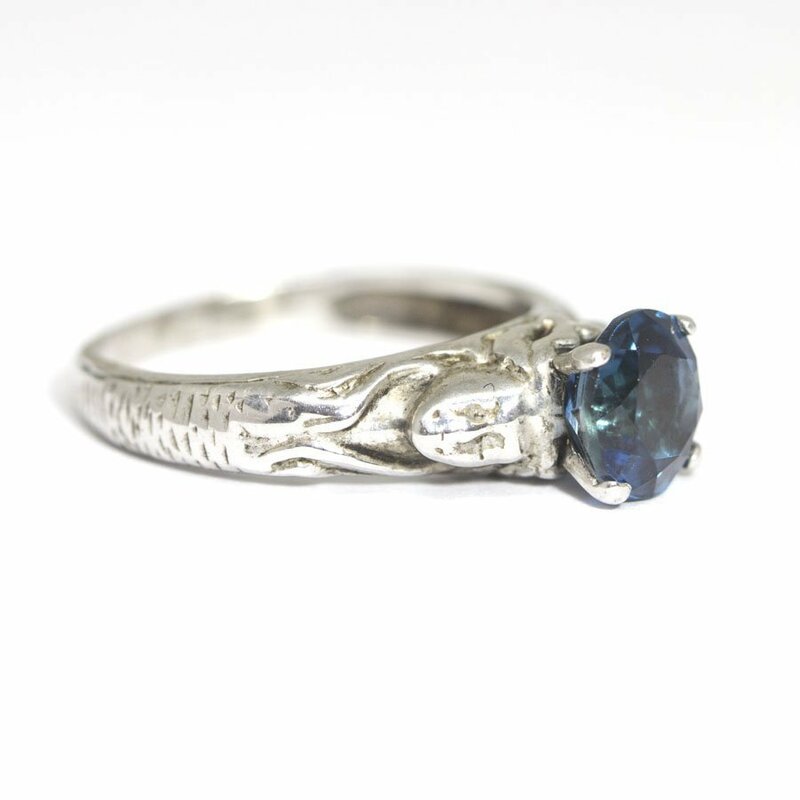 Silver mermaid ring. 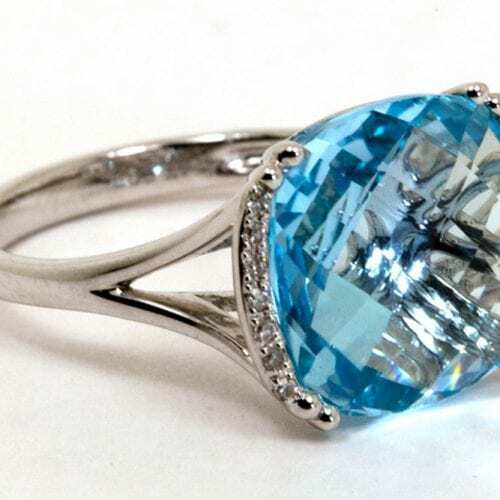 The ring features a 4 prong set 7mm round cut London blue topaz. The ring has mermaid faces and tails engraved on the shank. Original 18k yellow gold ring is perfectly restored and features a center bezel set Old Mine cushion diamond weighing 1.71 carats, graded as mounted to be G Color and VS2 Clarity. Each ruby was meticulously cut to fit snugly in the channel halo surrounding the center diamond, with an outer 18k white gold halo set with pave round diamonds. The twenty two rubies total .66 carats and the twenty eight pave diamonds total .56 carats. 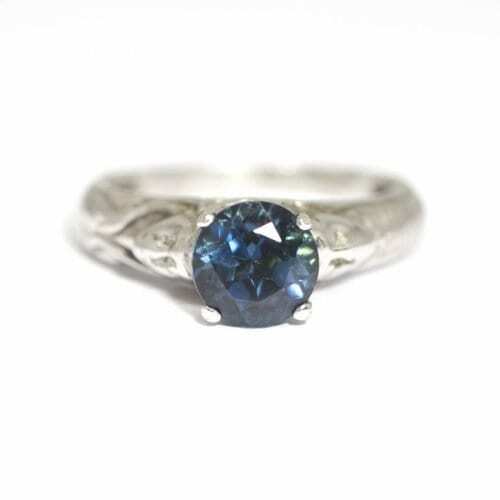 The gallery and shoulders of the ring feature exceptional hand engraving. This is a one of a kind ring and is subject to prior sale. Sizing is available upon request; please contact us for details. 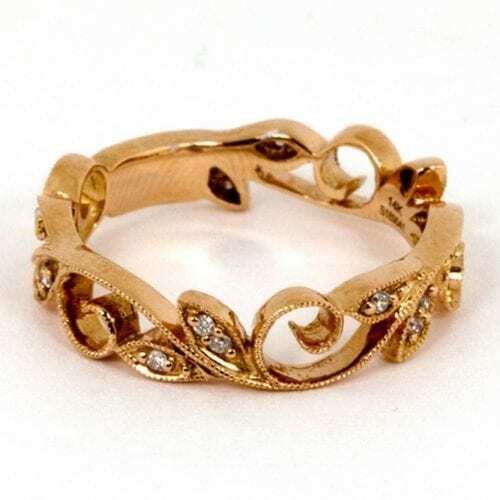 14k rose gold band with vine pattern has diamond accented leaves and milgrain detailing, with a sizing bar at the back. 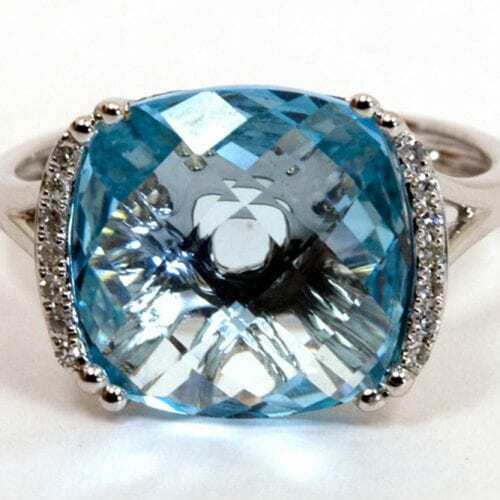 The diamonds have a total weight of .10 carats. The ring is available in yellow, white, or rose gold.